Inside the AT&T branded retail box of the Samsung Focus 2, we found a charger, a microUSB cable, the typical set of booklets, and (surprise!) a white colored premium headset from Samsung. Having a headset in the retail package means that as far as the essentials go, the Samsung Focus 2 has you covered out of the box. This is a welcome breath of fresh air, given the recent string of bare bones AT&T devices' retail boxes we've encountered. There is nothing revolutionary about the design of the Samsung I667 Focus 2 for AT&T. 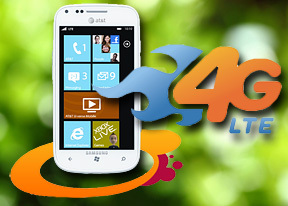 The smartphone is almost completely a carbon copy of the Android running Samsung Galaxy S Blaze 4G for T-Mobile. We noticed that the two handsets share quite a few construction elements - a fact which should bode well for Samsung's production costs. Offered in an all white colored scheme with a glossy white finish, the Samsung Focus 2 is a handsome device. Its curves are a certainly a sharp departure from the utilitarian looking relative, the Samsung Focus Flash. Built quality is typical for a Samsung smartphone. The Focus 2 feels well put together and capable to take a good amount of abuse - nothing to complain here. With measures of 121.7 x 62.7 x 11 mm, and weight of 122 grams, the Samsung Focus 2 is certain to appeal to those, who are looking for a compact smartphone. The relatively small for today's ever growing standards, 4" screen is the main reason for the pocket friendly measures. The 4" Super AMOLED unit with WVGA resolution, which the Focus 2 packs, is an old acquaintance of ours. The display is featured in quite a few Samsung offerings, and offers the usual blend of deep blacks and superb contrast ratios. The PenTile matrix is hardly cutting edge, but at this price point, it is hardly a surprise. All in all, the I667's screen is yet another case in point that AMOLED screens and Windows Phone OS are a perfect match. Above the screen is where the earpiece, the usual set of sensors, as well as the front facing camera are located. Below it you have the ubiquitous for all U.S. Samsung smartphones, set of touch sensitive buttons. The volume rocker, along with the latch for removing the battery cover is located on the left side. On the right, you will find the power/lock key, as well as the dedicated camera button. The 3.5mm audio jack and a secondary microphone sit at the top. The microUSB port and mouthpiece reside at the bottom. The 5MP camera and LED flash, as well as the loudspeaker grille are located at the top of the device's back. The typical Windows Phone logo sits at the bottom. There are no surprises under the battery cover of the Samsung Focus 2. The microSIM card slot and the 1750 mAh battery can be found there. Given our previous experience with LTE packing Windows Phone hardware, we were a bit skeptical about our expectations for the Samsung Focus 2. Thanks to its relatively small and energy efficient display however, the handset managed easily through a full day of usage. We are conducting a full blown battery test of the I667, and will update you when it is over. Handling the Samsung Focus 2 is as easy as it gets these days. Given its pocket friendly measures, even one-handed operation is a walk in the park - a rare occurrence these days. Overall, the Samsung I667 Focus 2 is a familiar looking and well put together device. Our initial impressions of its battery performance are positive as well. The small measures and white color scheme are sure to appeal a lot to the female users.